Three of the North East’s top music acts are set to headline the region’s biggest event for up and coming music, Evolution Emerging. 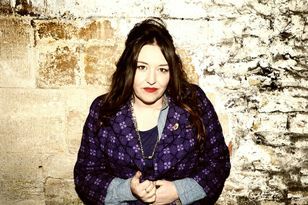 Lisbon, Hyde & Beast and Shades have been selected to play at The Cluny, The Cluny 2 and Tyne Bar on Saturday, May 23. Organised by music development agency Generator, Evolution Emerging takes over nine venues across the Ouseburn Valley, in Newcastle, to showcase the best artists on the cusp of being known by lots more people. This year organisers received more than 400 artist submissions and the agency has chosen a diverse line-up of 40 artists to perform, including a national act selected through Generator’s continued partnership with independent music publisher Sentric Music. Discovered through Sentric Music, Leeds’ Glass Caves play at The Cluny whose line-up is completed by alt-pop four-piece Alexander, Boro sensation Samantha Durnan and boisterous indie rockers Coquin Migale. As well as Hyde & Beast at the Cluny 2, the event will see Orange County, gifted singer-songwriter Beth Macari, lo-fi folksters Dressed Like Wolves and the sumptuous indie pop vibes of Charlie Dancer. The Tyne Bar stage sees Shields joined by raucous pop punk four-piece Martha, chaotic post-rockers Schultz, dreamy shoegazers Figmennt and instrumental progressive metal outfit Kylver. Elsewhere on the line-up are The Great Curve, Cape Cub, ISLER, Massa Confusa, Antlez, The Broken Broadcast, What We Call Progress, Charlie Dancer, Street Party in Soho, Joe Ramsey and Lesley Roley to name a few. And Evolution Emerging will be taking over three great intimate venues again – Blank Studios, Ernest and Little Buildings – as well as holding its aftershow party at one of the event’s newest venues, Retreat, situated at the top of Stepney Bank. Doors open at Evolution Emerging at 7pm and tickets are £5 in advance.